Presthaven Sands Holiday Park (Prestatyn) - A lively, all-action Holiday Park stretching out behind dunes that offer direct access to miles of sandy beach, Presthaven Sands has everything a family could wish for - including three pools, two ShowBars and a fabulous central "action zone" with go-karts and sports courts. Plus there's plenty to explor, from Conwy Castle to the Welsh Mountain Zoo. Hendwr Caravan Park (Corwen) - Open from Easter to November our touring pitches enjoy wonderful views of the Dee Valley and the Berwyn Mountains. 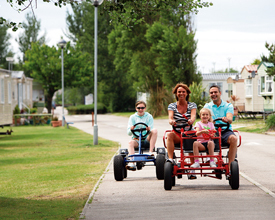 The 4 acre touring park accommodates touring caravans, tents or motor homes; all with self-trip electric hook up. 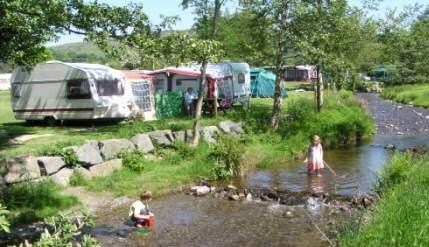 Visiting pitches are a mix of grass and hardstanding, while the seasonal pitches are all on grass.There is plenty of space and children love to play in the shallow stream which runs though Hendwr. Our tree lined dirveway provides a magical playgroud for everyone to explore. 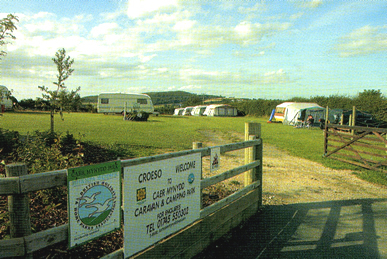 Caer Mynydd (Denbigh) - The magnificent views of the Clwydian Range and Moel Fammau makes Caer Mynydd Caravan & Camping Park a unique place to stay in North Wales.